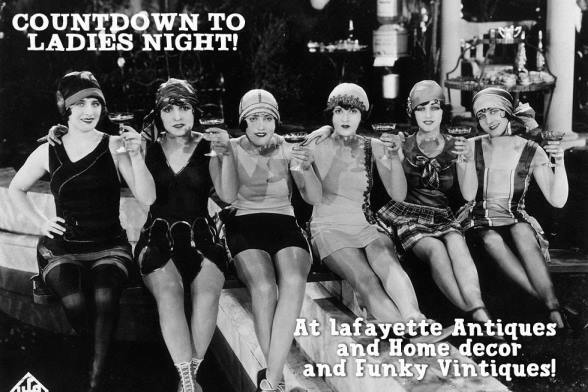 Don’t forget to get your BFFs and head to Lafayette Antiques for some after hours shopping while sipping chocolate wine and snack on chocolate desserts! Ladies, grab your BFFs, and head to Lafayette Antiques & Home Decor for Ladies Night Out! Join us for a special shopping experience while enjoying a glass of chocolate wine, and chocolate desserts! This is a great way to get a start on your holiday shopping during our annual store-wide sale! Sip, Shop & Stroll through our 3,000 sq ft store full of an amazing selection of antiques, collectibles, gifts items & home decor! 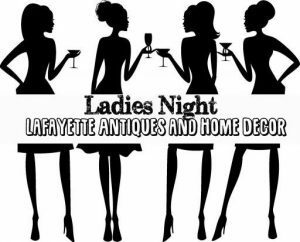 We can’t wait to see you for our next Ladies Night Out! Mark your calendars! 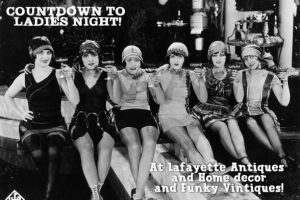 Its almost ladies night out! Join us April 27th from 6-9 PM. Chocolates and chocolate wine will be served! Looking forward to see all of you! This will give everyone enough time to enjoy a night out with the girls, and not conflict with the end of the school year, graduations and Mother’s day!